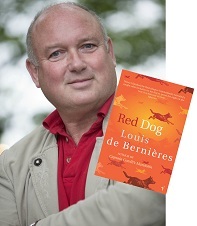 From the author of Captain Corelli’s Mandolin, Louis de Bernières much anticipated new book, Blue Dog, is due out in paperback in August 2017. It is a charming prequel to the much-loved Red Dog and tells the moving story of a young boy, his Granpa, and their charismatic pet dog adventuring through the outback. From the New York Times bestselling author of Girl with a Pearl Earring comes the fifth instalment in the Hogarth Shakespeare series, a modern retelling of Othello set in a suburban schoolyard. With this stunning and brilliant book she once again provides an evocative retelling of Shakespeare, whose characters' interactions and motivations here seem to mirror the brutal world of childhood. Guaranteed to hold students in thrall! 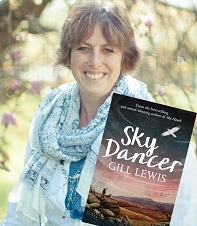 Gill Lewis, author of bestselling novel Sky Hawk and winner of numerous Children’s Book Awards, writes books which focus on the complex relationships between humans and animals. Her much anticipated new book, Sky Dancer, is due out in October 2017. Sky Dancer tells of the poignant bond between a young boy and the wild hen harriers that inhabit the moors where he lives, and his quest to protect their habitat. It is aninspirational tale about loss, expectation and change with an important and thought-provoking environmental message. 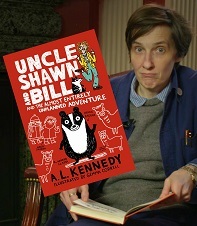 A. L. Kennedy, Scottish author and stand-up comedian, has won numerous literary awards since 1990, this book will be her first book for children. It is a mad, exhilarating and engaging tale of Bill the Badger who has been kidnapped by two villainous sisters and the funny adventures that follow. The story tackles animal cruelty, promoting kindness towards animals in an amusing yet sensitive manner. Uncle Shawn and Bill and the Upmost Entirely Planned Adventure is illustrated by Gemma Correll. A page-turning historical adventure set in the deserts of Cairo, from the author of the acclaimed Wild Boy books. 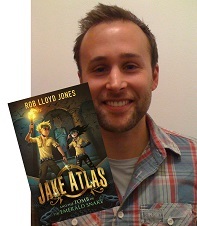 American born author Rob Lloyd Jones presents JakeAtlas and the Tomb of the Emerald Snake, a fast paced, riveting adventure about the Atlas family who are in trouble. His explosive writing style is guaranteed to draw children into the world of adventure and history. In this tale, two children go on a death-defying treasure hunt through Egypt’s ancient monuments to save their archaeologistparents who have been kidnapped. The acclaimed author of Liccle Bit and Crongton Knights shares his story about how writing, having been brought up in care and spiralling into crime, reading changed his life. Straight Outta Crongtonis a book full of humour and tenderness. But it deals with tough subjects: domestic abuse, gang violence and its consequences, and the pressures on women trying to keep their families together under extreme circumstances. 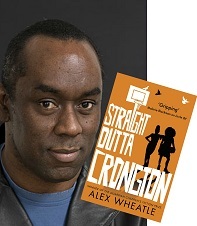 Alex Wheatle was awarded an MBE for services to literature in 2008. A favourite of reading groups and libraries, he is the UK's most read Black British author. Following Ivy Sparrow’s discoveries in The Crooked Sixpence, the adventures continue in the second instalment of The Uncommoners trilogy, The Smoking Hourglass. 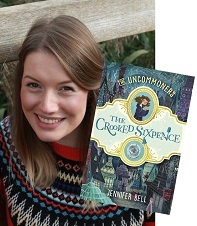 Waterstones Book of the Month 2016 winner Jennifer Bell takes us back to Lundinor, the spellbinding city beneath London where ordinary objects have amazing power, once again we are thrown once again into a world of adventure and mystery. These books are perfect for the reluctant reader, some have even dubbed thema modern day Alice in Wonderland. 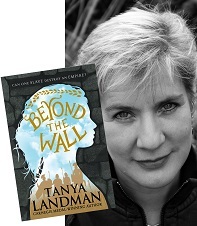 From the Carnegie Medal-winning author Tanya Landman comes the exhilarating story of a runaway slave girl and her dangerous journey through the murky underworld of Roman Britain. 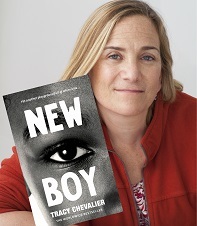 Although she writes across a broad age range, Tanya is best known for her historical novels for young adults, this book will not disappoint her readers with its background of intrigue and mystery. Join Dev and Ollie for their third festival adventure in Dev and Ollie: Camel Caper. Dev and his magical bedtime Owl, Ollie, go on a mission to rescue all the camels that have escaped from their local zoo. In this third instalment Aggarwal continues to teach children about international festivals, this time focusing on the Pushkar Camel Fair. 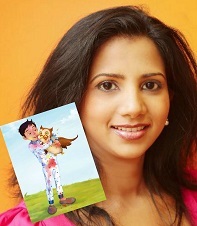 Shweta Aggarwal describes her mission as: ‘for children not just to be reading well, but to be well read’, she attempts to achieve this by creating characters that are easily relatable for her readers. Aggarwal was awarded the Asian Women of Achievement award in 2016.